Manilla Road's "The Courts Of Chaos" album was originally released in 1990. It was the band's last release for Black Dragon and also the last release before they temporarily split up (if we do not take 1992's "Circus Maximus" into account which was actually supposed to be a solo album). All in all it was a very tough time for Mark Shelton and his band. He answers: "Yes, you are correct with all of that. 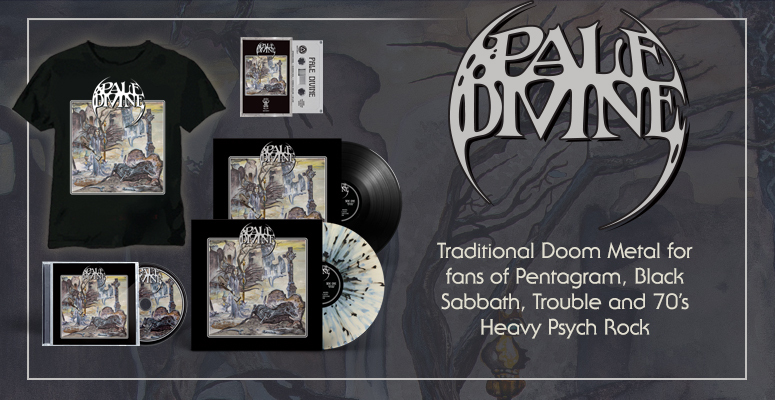 Our releases were not selling as well as they had years before and it seemed like metal in general was having a hard time surviving the times that followed the conversion to CD technology. Right after Manilla Road broke up, I started putting together a solo project that accidentally turned into a band. So we named it Circus Maximus and signed a deal with Black Dragon but they decided to release it as a Manilla Road album because they thought it would sell better. 'Courts Of Chaos' was the last album that was a real Manilla Road project on Black Dragon." So Manilla Road was not in the best of shapes around that time as Mark explains: "The six years prior had taken their toll on us. We had partied hard and played all the time. We had spent lots of time in the studio together and practically lived together for all those years. It was a lot of fun but by this time Scott and Randy were not very friendly with each other anymore. 'Courts Of Chaos' was a tough album to get done because neither one of them wanted to be in the studio at the same time the other was. It was tense, to say the least. We all knew it was going to be the end of an era and that this line up would most likely never do another album. Even amongst all this we still tried to remain artistic and put out a really good epic metal album." So the Shark does not think after all that "The Courts Of Chaos" is a throwaway album: "It does not seem to get mentioned as much as many other albums of the Road. But when it does come up, it seems like that person is really sold on the project being one of our better ones. I must say that the sound of the album is not bad at all. The drums have always sounded strange to me on 'Courts Of Chaos' because Randy used triggers and sampled drums on the recording. It's the only album we have ever done that on. It does, in my opinion, have some really killer songs on it. 'Dig Me No Grave' is still in our show. It's always a challenge to play but I love doing that one live and it still seems to appeal to our audience. " The number "From Beyond" is another voyage into literature for the band: "It's based on the short story by H.P. Lovecraft but there was a movie based on it with Jeffery Combs in it. It was a really good rendition of the story, I thought. But I originally knew of the story from reading the Lovecraft story." "(Vlad) The Impaler", on the other hand, seemed to be all about the Dracula figure. But it is based more on the historical figure than on Bram Stoker's novel ... The Shark agrees: "Yes, it is the real monarch Vlad that I am referring to in the song. I love Bram Stoker's book but in truth the real Vlad actually died and did not come back to have lunch on someone's neck. I could have easily gone in that direction with the song but for some reason I chose to stay within the boundaries of written history." "The Book Of Skelos" could well be part II of "Dreams Of Eschaton". Was that Mark Shelton delving further into (Greek) mythology? Somehow it was: "Actually, 'The Books Of Skelos' were introduced to me by the writings of Robert E. Howard. And it is those books of which he wrote that the song is about. The books, bound in human flesh and inked in blood, were the history and rituals of the pre-Hyborean times of Acheron and before when the Aiser and the Vanir lived in the light of Ymir and Crom was yet to be birthed." Well, go check that out for yourselves! "DOA" is a cover of a Bloodrock number. Manilla Road are not known for playing too many covers. Is Mark a big fan/collector of obscure 1970's Occult/Psych Rock? He says: "I grew up in that era and yes I love that old stuff and could be called a collector of sorts I guess. This was the only cover song that Manilla Road has ever put on an album. We chose this song because it was the only one that all three of us could agree upon. I wanted to do some obscure hit from the old days and turn it into a Manilla Road style song and since Randy was playing the keys with us on some stuff I thought it was a cool choice. I'm still fairly fond of the version and still like to listen to it every once in a while." I have learned that the album was originally released in the States under The Mark Shelton Group. And it also came out two or three years after the European Black Dragon issue ... Not an ideal situation finds Mark Shelton: "Well, Black Dragon was going through some really hard times. 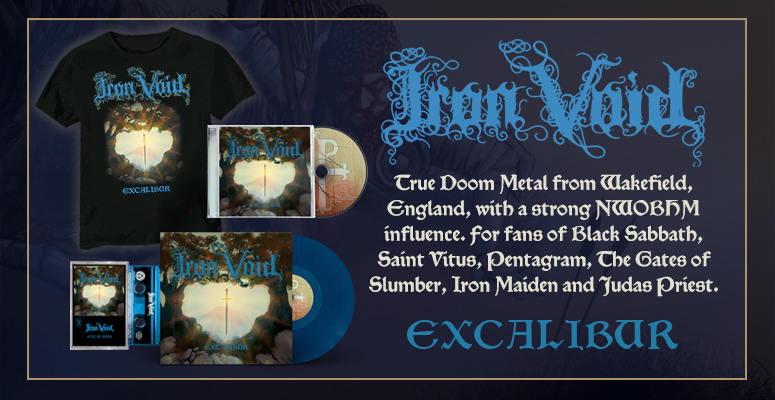 Their main distributor in France went out of business and they had also made enemies with Important Record Distributors in the States (who at the time were one of the main importers of metal for the states from European labels). Important refused to deal with Black Dragon or any of the bands on their label. Since Black Dragon had only European distribution and none in the States we signed the deal with them for only in Europe. We then signed the project to Leviathan Records in the States. Their distribution was also through Important Records and they would not distribute the project if it was called Manilla Road, so the label put it out as Mark Shelton."